is an old adage that becomes especially significant if you are involved in a workplace injury. All too often, injured employees attempt to navigate the murky waters of their work injury claim on their own, without the critical knowledge necessary to protect their rights. It goes without saying that your health is the most important thing to protect. Employees who are injured on the job and don’t understand the rights that they are entitled to can feel pressured to return to work before it is safe. This increases the risk that they will either become re-injured or will not heal properly from the initial injury. on the job is to get the necessary medical attention that you need. If you are not in an emergency situation, notify your employer about your injury. Make sure that your injury is documented and that a “First Report of Injury” is filed with the Industrial Accident Board, the administrative agency that oversees work related injury claims. The Statute of Limitations for filing a workers’ compensation claim here in Delaware is two years. Therefore, as a general rule, the First Report of Injury form must be filed within two years from the date of your injury. Otherwise you will lose your rights under the Workers’ Compensation Act FOREVER. Of course, I recommend asking your employer to file this form immediately following your injury while the facts surrounding the accident are fresh in your mind. This will prevent any dispute about what your injuries are, and how you were injured down the road. 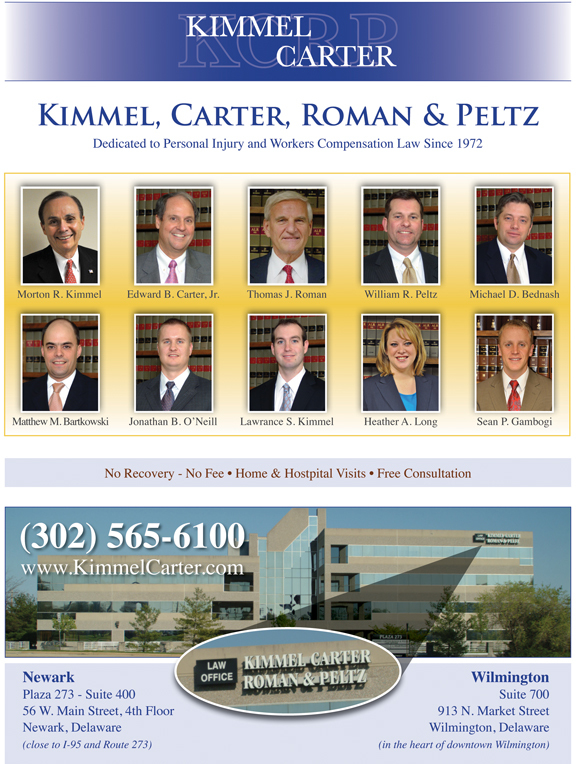 the Delaware Workers’ Compensation Act? Knowing and protecting your rights if you or a loved one is injured on the job just makes good, old-fashioned financial sense. Most of your rights under the workers’ compensation laws in Delaware are based on your average weekly wage (AWW for short) earned during the 6 month period prior to your injury. If you have only been at your job a short time, don’t worry- your rights will still be based on your average earnings for whatever time you have been on the job. Of all the rights available to an injured worker, the one that clients are most concerned about is the disability benefit to compensate for their lost wages. Depending on how severe you or your loved one was injured, your doctor may restrict your work hours, restrict your work duties, or take you out of work completely for a certain amount of time. If that is the case, then you may be entitled to disability benefits. If you are injured in the course and scope of your employment, you are entitled to medical benefits for the rest of your life as long as the medical treatment is reasonable, necessary and related to the work injury. In order to receive this benefit, your “First Report of Injury” form must have been filed within two years from the date you were injured. Worker’s compensation must pay one additional bill every 5 years in order to keep this benefit active. All medical treatment is evaluated and can be challenged by your employer. The most common challenge occurs through a “Defense” or “Independent” medical examination. This is a process whereby a doctor hired by your employer evaluates you to determine whether you should receive continued medical treatment. If this happens to you, you should seek the assistance of an attorney so that your medical benefits can be protected, and you can continue to receive the care that you need. If your doctor says that the injury which you received in the course and scope of your employment is permanent, you may be entitled to a lump sum payment. This lump sum payment is not meant to compensate you for pain and suffering, rather, it represents compensation for the permanent impairment to your body as the result of your work injury. The amount of this recovery is based on a complex formula which takes into account the part of your body that was injured, your percentage of impairment and your workers’ compensation rate based on your average weekly wage. all of the rights listed above will not necessarily apply to every case. If you are injured at work, the best thing you can do is become informed about your rights under the Delaware Workers’ Compensation Act. In order to make sure that you receive all of the benefits you deserve in your time of need, I highly recommend that you obtain an attorney to guide you and protect you through the rough waters you are sure to encounter on your journey through the workers’ compensation system. Most workers’ compensation attorneys, including myself, offer free consultations with no attorney’s fee to be paid until your case is settled. This gives you the peace of mind you need in order to focus on the most important thing- your health. 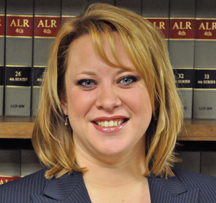 (302) 565-6100 or e mail her directly at HLong@kcrlaw.com. “You are the best. I really appreciate all the work you did for me.” ~ Brian B. “Wow. Thank you so much. Don’t they know I have the best lawyer in Delaware? You don’t have Esquire after your name just cause it sounds good.” ~ Mickey T.
“You did an excellent job at the hearing. You were so prepared, and knew my case inside and out.” ~ Hazel H.
“We were so impressed with you at the hearing. You knew my medical history better than I did!” ~ Michele and Brad N.
Next Story → What Does a Customer Really Want?